Pros: A funny and emotive look at identity and relationships in Asian families. Cons: Some of the acting feels exaggerated and slightly out of place. 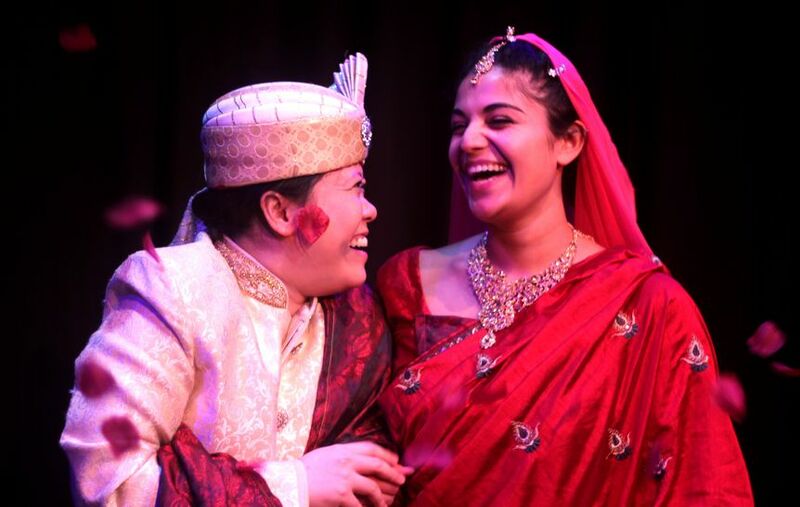 The Taking Flight Festival consists of three short, charming plays, all by first-time writers from British East Asian, South Asian and South East Asian communities. 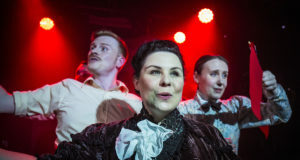 The plays are individual pieces, each with its own voice, but the three fit together in a wonderful harmony, with similar themes of acceptance, family and relationships in the face of change. In 100% of Nothing is Nothing by Joan C. Guyll, daughter B.C. returns home to her beloved mother following her father’s death. She is stuck between two worlds – her birth country, Singapore, and her married home in England – and she is exasperated by the traditionalism she faces when returning home – particularly when it comes to the favouritism shown to her older brother. Ketchup by Sammy Wong takes a different approach to family life. Emily is a driven and bored British teen who is close to her Vietnamese immigrant mother, Nguyen, but desperate to find her place in the world. Their relationship drives a wonderful narrative as she comes of age. Finally, in Hema Anjali by Chandni Lakhani, sisters Hema and Anjali’s relationship is examined and tested as elder sister Anjali marries and moves out of the family home, leaving the significantly younger Hema behind. All three plays employ strong writing and are brought to life by a strong cast, who switch roles for each play. I cried twice and lost count of the times I laughed – there were so many genuinely funny moments. Eugenia Low is particularly hilarious as Nguyen; her deadpan remarks that exasperate her daughter (Michelle Yim, in her strongest role of the night) are wonderful and delivered with excellent comic timing. 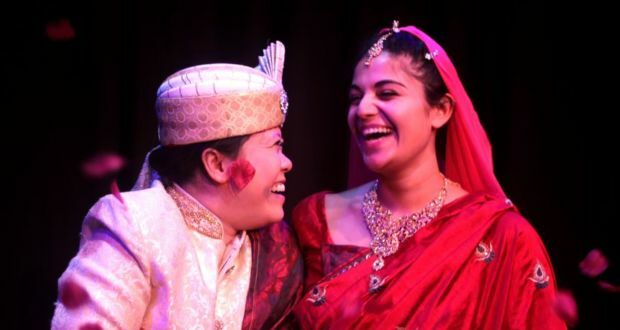 The relationship between Harriet Sharmini Smithers as Anjali and Megha Dhingra as her mischievous and stubborn younger sister, Hema, is both brilliant and convincing. The two are a joy to watch, and this is a play absolutely stuffed to the gills with love. The shows have a great depth of subject matter. Even matters which seem light-hearted can swiftly give way to rather sombre realisations. Ketchup handles this wonderfully, particularly when making a very poignant comparison between the arrival of historical and modern refugees in Britain. For all the strengths on show, there are some moments in which the emotional response does feel a little overdone. Some of the more exasperating moments in the first play do feel a little more difficult to empathise with based on the bolder and deliberately comical tone, but there is a certain level of unfairness on display, and this does indeed highlight the injustice. The staging is similar across the three plays – subtle changes to moveable wall panels create new spaces for each piece. 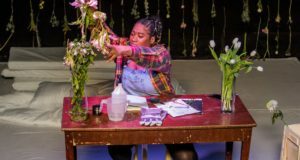 There are clever uses and reuses of props – a takeaway counter doubles worryingly well as a men’s toilet – and the similar scenery does help to establish some consistency between the plays and remind the audience of the relationships between them. These three pieces are excellent in their own rights. Each has its own narrative, its own triumphs and tragedies, but placed together, they open the door for an interesting collection of emotions and examinations of a similar theme. I saw my family in these plays, and the highs and lows of coming of age are heartbreakingly relevant. The tone does dance around the overdone at times, but when it comes to commentary on family, identity and adapting to circumstances, it hits all the right notes.